A lot rests on your first attempt at anything. When it comes to directing, it could make or break your career. The following films are some of the strongest debuts in history, and are must-watches for any fan of the big screen. Guy Ritchie’s first film Lock, Stock and Two Smoking Barrels is nothing short of a British cinematic classic. It’s criminal, comedic, and has a few lessons weaved in to the immense storyline. Not only was it a debut for Ritchie, it brought Vinnie Jones and Jason Statham into the acting helm – not that you could tell they were first-timers. Betting on card games and losing a considerable amount of money won’t end well, as Eddy Tom, Soap and Bacon come to learn in this gritty tale. 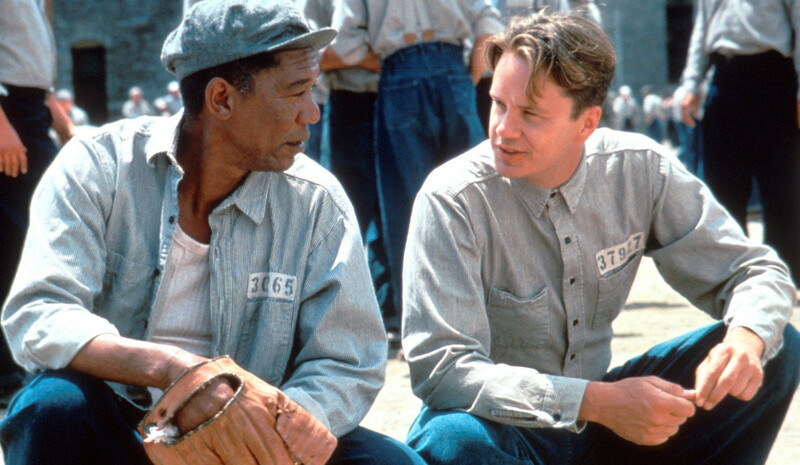 It’s believed to be one of the greatest films of the 1990s, so it would be criminal to not mention the brilliant The Shawshank Redemption. Darabont’s dive into directing is based on Stephen King’s novella Rita Hayworth and Shawshank Redemption, although King did not initially see how it could be made into a feature-length film. It may not have been a box office smash (partially due to its competition in 1994) but it’s hard not to love it, and as a debut it’s a stunning effort. Mario van Peebles made his big screen debut with 1991’s drug-fuelled classic New Jack City. In terms of directorial debuts, this one ticks all the boxes – a strong cast, a great and gripping storyline as well as that all-important soundtrack. New Jack City looks at the crack epidemic that swept America in the late 1980s and the impact it has on a range of people involved: victims, the police, and the kingpin, Nino Brown. Tarantino hit it out of the park with his first feature-length film. Reservoir Dogs has become a cult classic and helped to make Tarantino a household name, as his success continued with Pulp Fiction two years later. It was incredibly well received and Empire listed it as the Greatest Independent Film of All Time. With a cast that includes Harvey Keitel, Tim Roth and Steve Buscemi, this 1992 masterpiece was destined for greatness. One of the best-loved genres of film – gangster – was parodied in the best way in Alan Parker’s first feature-length film. He took the dynamics of a typical gangster film which included violence and Prohibition, and reworked it with children. Bugsy Malone flipped the script to create a children’s film loved by all ages and introduced Scott Baio as Bugsy to a worldwide audience. Parker went on to direct The Commitments, Evita and Angela’s Ashes. When you think of teen movies from the 1980s, you of course think of John Hughes. He’s listed as helping the careers of the ‘Brat Pack’ with movies such as debut Sixteen Candles. The ‘Brat Pack’ was a term coined to describe a group of young actors who starred in coming-of-age films during the decade, such as Judd Nelson, Emilio Estevez and Rob Lowe. Sixteen Candles was Molly Ringwald’s first film, as lead Sam Baker. Ringwald and Anthony Michael Hall who played Ted would work with Hughes again on his smash-hit, The Breakfast Club. Kenneth Branagh is a bit of a jack of all trades when it comes to film-making. He’s an actor, producer, director and a screenwriter; best known for his take on Shakespearean classics. His first attempt was Henry V, which he directed and starred in as Henry. Rotten Tomatoes regards it as the greatest Shakespeare movie, which earned a whole heap of award nominations. Branagh scooped up gongs for Best Direction at the British Academy Film Awards, Best New Director at New York Film Critics Circle Awards and Best Director at The National Board Review of Modern Pictures. Arguably the best Christmas movie ever, National Lampoon’s Christmas Vacation is Chechik’s directorial debut, but the movie was written by 1980s film icon John Hughes. The Griswold family’s Christmas holidays are littered with weird and wonderful problems from the outset; especially when Cousin Eddie shows up uninvited with his family in tow. Being obsessed with Christmas isn’t easy, and the brilliant Chevy Chase portrays this perfectly in the family favourite. Whether they’re dramatic masterpieces or laugh-out-loud easy watches, these directorial debuts have made strides in their field! Pick them up now, on the musicMagpie store. ← Which films will win Oscars and Golden Globes next year? Here’s our definitive guide!